Disney Infinity: Toy Box is a free game for Windows 8 and Windows 8.1 devices that allows you to play as the Disney cast and crew in a virtual world where you have to build and place toys and combat bad people. Before we get into the details of this app, let me start off by telling you that this app is huge – about 1.88 Gb in size! 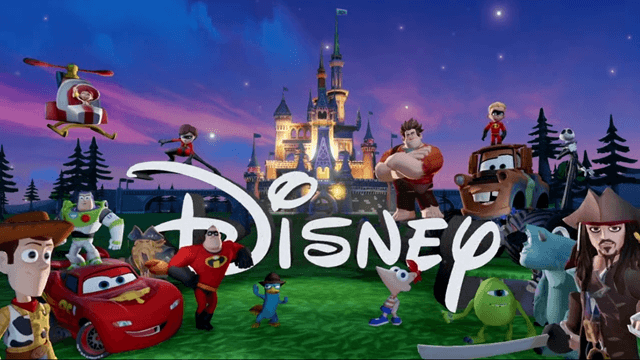 When you install and launch the game, you will be presented with a neat series of startup animation videos that you would expect from any high end game – after which you will be taken to the main screen of the app where you can start playing the game after logging into your Disney account. 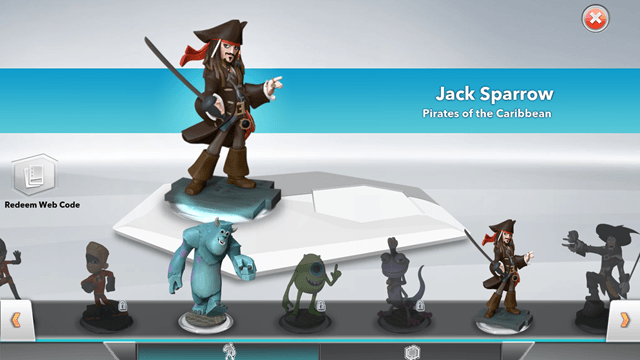 Disney Infinity: Toy Box is available for free from the Windows App Store. When you install and launch Disney Infinity: Toy Box on your Windows 8 or Windows 8.1 device, you will be presented with certain animations before the game actually starts. These look extremely cool (see for yourself in the screenshot below). 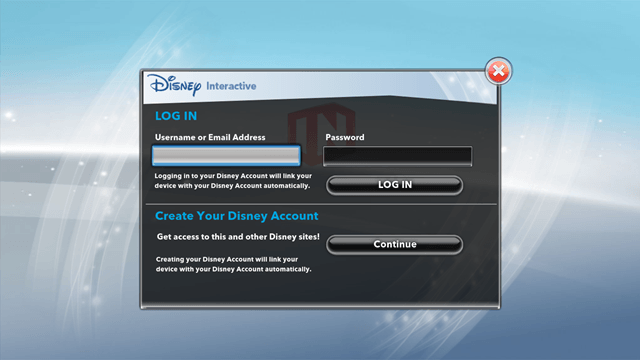 Once the series of animations are over (which can be skipped easily by clicking through with the mouse), you will be taken to the actual main screen of the game where you will have to log in with your Disney id, and before you do so, you may also have to sign in with your Microsoft id as the game needs access to your Xbox live account. You can log in with your Disney id in the window above. You can also create a free Disney account if you don’t already have one by clicking on the Continue button at the bottom of the above window. Once you are logged in to the game, you will be taken to the main menu. In the above menu, you can choose to create a new toy box, load a game, play an adventure, etc. 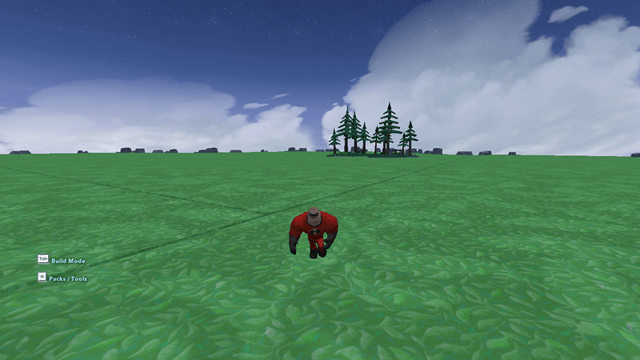 In the Toy Box Mode, you can build terrains of toys and fight with bad guys using your guns. You have a variety of guns like Toilet paper gun, ray gun etc. Some of the guns are really funny, like the toilet paper gun fires toilet paper rolls! You can move your character around by means of the four arrow buttons (up, down, right, and left). Clicking on Tab while in the Toy Box mode will open the build menu from where you can place the unlocked toys on your terrain. Some toys are interactive, whereas some are just display only toys. Pressing Q will give you access to your guns and other features. You can also change your character in the Virtual Base which can be accessed by pressing the Esc button while in the Toy Box. Some are unlocked by default, while some need to be paid for with real money to unlock them! The adventure mode of the game is a really fun way to pass your time as well! There are a lot of available adventures available in the game like Vaneloppe’s racing (from the movie Wreck-it-Ralph, if you have seen it), etc. To access adventure mode, click on Adventures in the main menu of the game, and then select the adventure that you wish to play. Upon clicking on your desired adventure, the adventure mode will begin. Do note that if it’s your first time in adventure mode, only Vaneloppe’s racing will be available to you. More adventures are unlocked when you complete the previous one. 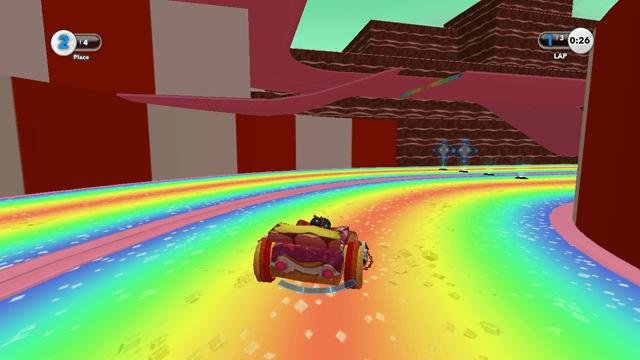 In the below screenshot, you can see the racing adventure (Vaneloppe’s racing). For each adventure, the controls will be displayed on the screen. Disney Infinity: Toy Box is a great game with amazing graphics. The only drawback that I feel about the game is that the game is very heavy (being about 1.88Gb in size) and that some features (like premium toys, characters, etc.) have to be paid for with real money. Apart from that, I love the concept of the game, and if you are not short on bandwidth, I would definitely recommend you to download the game and try it out! 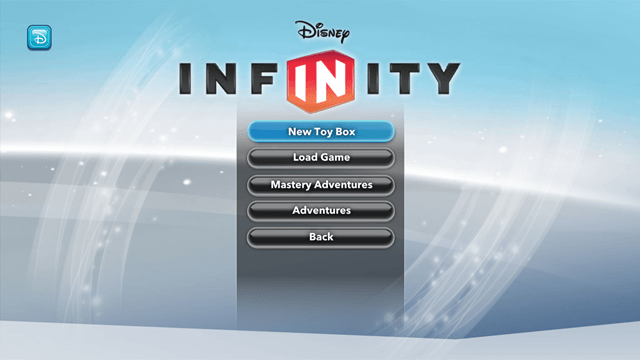 Get Disney Infinity: Toy Box. Also checkout Rat On A Snowboard and BugTris.